Liuzhou's population is made up of around 30 different ethnic groups. As in China as a whole, the majority are Han Chinese. However around 40% of the population is made up from various minority groups, with the Zhuang minority being the largest. 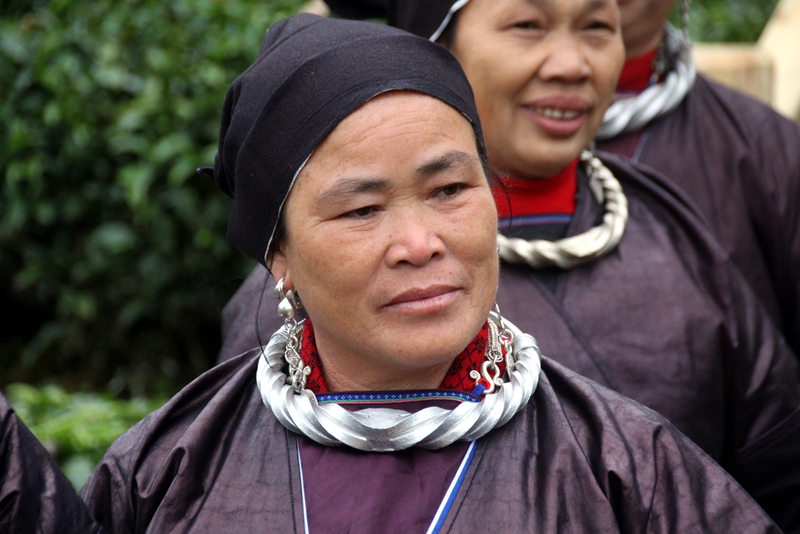 There are also large numbers of Dong, Mulao, Miao, Yao and Yi peoples. Most of these minority groups tend to be located in the surrounding Liuzhou prefecture rather than in the city. By far the largest minority in Liuzhou (and the largest in both Guangxi and China as a whole) are the Zhuang people. They are descendents of a branch of the ancient "Baiyue" people, who lived in south China. The Zhuang are largely integrated with the Han majority. The third day of the third lunar month (San Yue San) is the date of the Zhuang people’s traditional festival where the singing of antiphonal folk songs is the main event. The Dong minority are distributed through Guizhou, Hunan, Hubei and Guangxi. They are descended from the Tuoyue, a branch of the Baiyue tribe, which can be dated back to the Qin Dynasty (221 - 206 BC). The Dong minority are famous for poetry and song. Dong poetry has a strict metre and comes in various styles. Dong architecture in Sanjiang Dong Autonomous County near Liuzhou is famous in China for its many wooden buildings. This unique architecture is synonymous with the Dong people. Their bridges, houses and pavilions are outstanding features of Dong villages and their building techniques are a huge attraction to visitors. Dong brocade, cloth, embroidery and silver handicrafts show the features of Dong traditional culture. 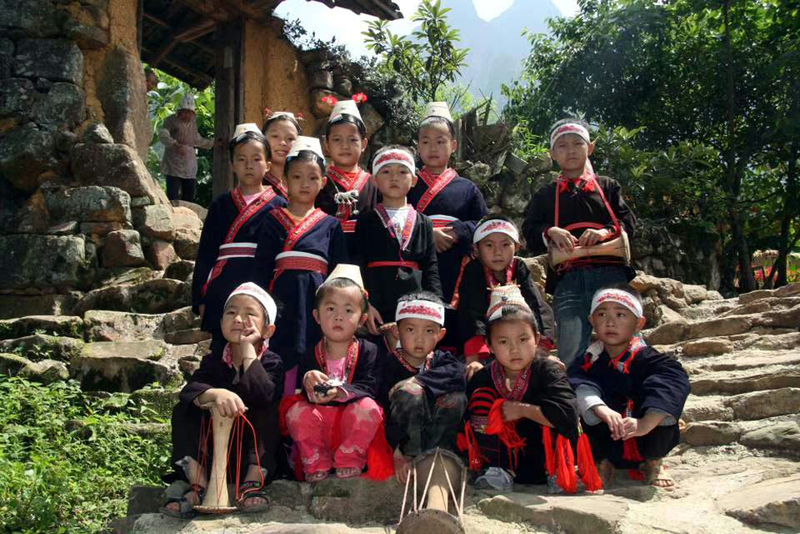 The Miao minority people are widely scattered but live in small groups throughout Guizhou, Guangxi, Yunnan, Hunan, Sichuan, Guangdong, Hubei etc. The Miao have a long history of music and dance, especially the ‘Lusheng’ (Reed Pipe) dance which demands great skill. Miao handicrafts such as their embroidery, batik, brocade and jewellery are particularly colourful and desirable. Lusheng music and dance is to be seen in their traditional festivals such as the Miao New Year Festival, Lusheng Festival, Lagu Festival, Mang Ge Festival etc, held in Rongshui. Visiting Miao villages allows the visitor to experience the special Miao hospitality. You will be stopped in your path while they sing welcome songs, offer drinks, gifts etc. 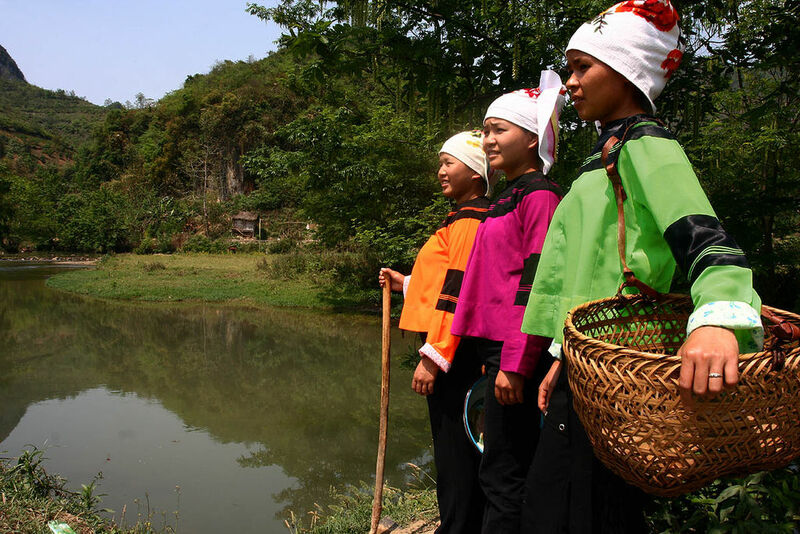 In Jinxiu Yao Autonomous County, near Liuzhou, lives a group of Yao minority people, who follow ancient Yao traditions and customs. 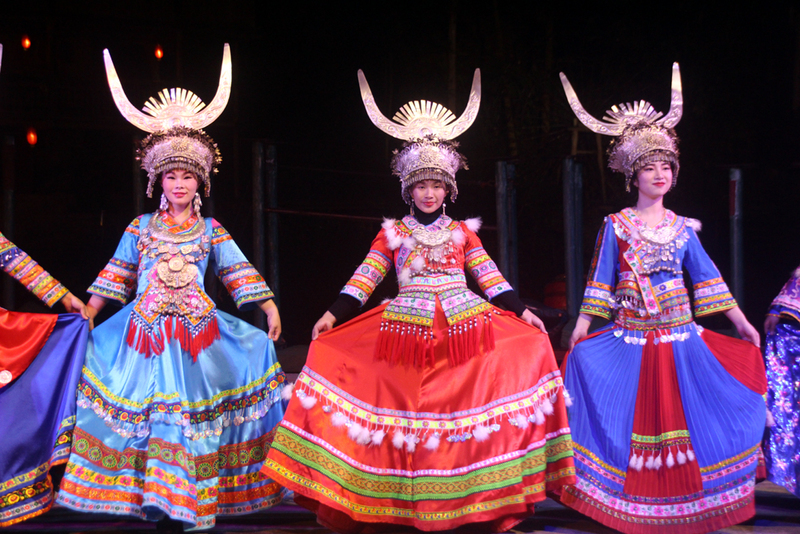 Over thousands of years, the Yao people have created unique folk songs and dances. The melody, lyrics, costumes, choreography and props show strong local traditions. There are eighteen famous Yao dances which can be seen every year during the Yao festivals especially that held on the 16th of the tenth month of the lunar calendar.